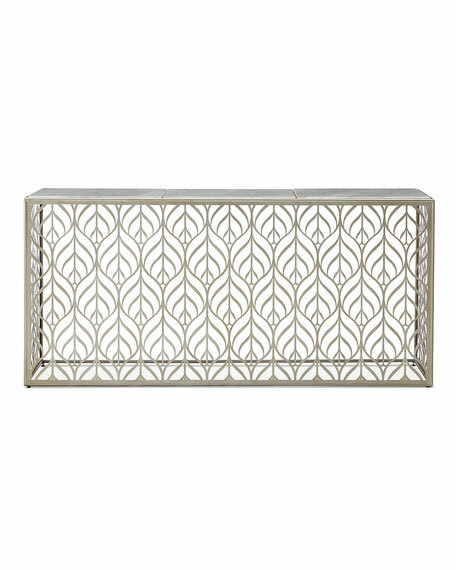 Elegant and sophisticated the intricate design motif on this console is sure to catch everyone's eye. 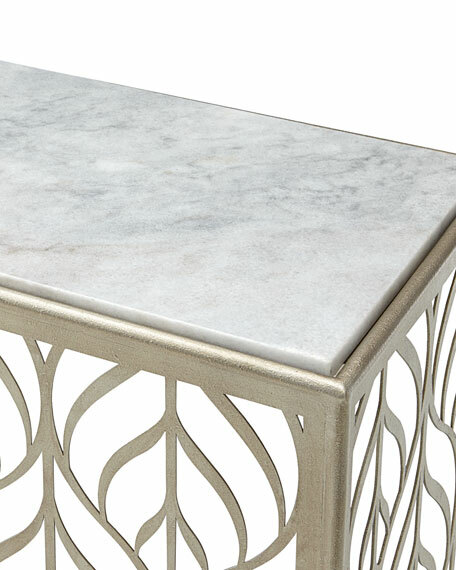 Crafted in patterned metal in a champagne silver finish, it features an Arctic white marble top. Gorgeous from every angle it provides a dramatic console option or a unique addition to a dining setting. Handcrafted console with white marble top and sheet metal frame. 74"W x 14"D x 34"T.
Boxed weight, approximately 191 lbs.